Our beloved Po, and my beloved husband, was diagnosed with CML (chronic myloid leukemia) a few years ago and was put on immuno-suppressant therapy. As luck would have it, we recently discovered that the medication that was to support him for next 20 years has weaned off in 4 years and now there is no medication available for the new gene mutation he developed. Going through this process has been a crash course in understanding a lot of things about RNA’s and DNA’s and more. At one stage, a molecular biologist explained that a certain report would take 20 days since the RNA strands or cells are so sensitive that even if you whisper near the sample, its property changes! Hearing this, the insight that came in that very moment was in our body there are millions of RNA’s that are so sensitive and when we go through our emotional highs and lows at each point they may be changing their properties leading to so much more in our systems that is beyond our imagination! Phew…the mystic world that is within all of us. After the rigmarole of reports, we understood that the only solution to the said condition was doing a Bone Marrow Transplant (BMT). And through that diagnosis, the whole universal design started opening up for us. During my Bhav Yatra, in Kerala, I had visited Anandashram and met this couple Ramraj Appa and Sharadaamma whose son was a hemato-oncologist in Pune -- Dr. Kannan. So we connected with him to get his insights on the reports and it turned out he's at one of two hospitals in the entire country that has started doing Bone Marrow Transplants! (Other being CNC Vellore.) That was the first blessing -- to be connected to the hospital, but also to have a doctor who is grounded in values of Anandashram. When we first met him, little did we know that this doctor knew of our connection to service and so he refuses all consulting fees from us right from day 1!! When Po asked him about naturopathic treatment, which is always his preferred route, Dr. Kannan, looks straight at him and says, "For a person like you, my suggestion is to get better in a year’s time and contribute to the world for next 20 years." He smiles with a wink. Dragon warrior Po understands and surrenders. The next step in the unfolding was meeting another such blessed connection -- Ayurveda expert, Dr.Mahesh. When we were in middle of reports, I was feeling quite fearful and helpless, that no amount of meditation would help. So I sought help of Pavi in understanding her practices while working with Viral. So we did a skype call and also connected us with Dr. Mahesh. It turns out that he was local to our city, Pune, had heard Nipun-bhai speak on seva years ago and was also Geet’s teacher at Vedika Global in the US. We meet him and discover that Po’s medication for next 2 months was already paid for!! Both the doctor and Po were sharing their surprise over the whole thing and Dr. Mahesh became curious about how things worked at ServiceSpace. :) You can imagine our smiles. :) So we connect Maheshji with one of five weekly Awakin Circles in Pune -- at Aabha’s home in Baner. Since then, he not only attends regularly but in absence of the host, he has started to anchor the circle (with another friend Jagruti!). All these ripples, in just a couple of weeks.We were counting the blessings that were still flowing with it. During this whole period, friends around the globe were helping us. Guri-di and Zilong (who was in a Laddership Circle with Po) found a very gifted Chinese herbalist -- Dr. Henry -- to explore Chinese medication. In just a couple of days, we knew what to buy and from where (thanks to SSp friends like Victor) ... but due to our lack of understanding of its usage, we avoided it as risky. But even in that process, Zilong’s mom, a doctor all the way in China, helped us get to this specialized information very swiftly (which, otherwise, would've taken a lot of time). In parallel, we also got started on finding an HLA match for doing the bone marrow transplant. Siblings have the highest chance of a match, after which family members drop to something like 5% chance and everyone else is 1%. And even with matches, its progressive -- in that there are 12 HLA markers, and you could be 6 out of 12, or 7 out of 12, and it would be considered a match. Enter Po’s sister from Kolkatta, Jhanvi, who is another dragon warrior of the family. She came ready to serve in all ways, as if her motto is, "If my life is not useful to my brother then it’s a waste." She turns out a perfect match. 12 out of 12. We were told that is an extremely rare scenario, but it made for a strong green signal for BMT procedure. Jhanvi is a donor in all aspects of the word -- from her bone marrow to hospital costs to anything else that was required. As we are readying for the BMT procedure that begins next week, more people are joining the "save Po" campaign through prayers, meditations, physical support, financial support. It's just endless … we truly can't keep track. One young couple with a 4 month baby offered their baby’s stem cells for Po, in case it was a match. Those moments of generous intent still overwhelm me, every time I think about it. Oh, one more ripple to share. Through Smita-ben and Drishti foundation, last year, I have been offering workshops (on bringing compassion to the workplace) at a Health Care NGO called Samavedana. It happens to be an offshoot of the same hospital where Po is going to be treated! By the end of last year, Preeti -- CEO of Samavedana -- and I had become friends and so naturally she heard about Po’s treatment at Sahyadri hospital. In a couple of days, she calls me to inform that Samavedana is raising funds for him!! My first response, as a typical bad receiver, is an emphatic “NO”. But then I finally find my courage to share with Preeti that we do have an arrangement and that funds can be paid-forward for people who are not supported in any way. It was a very touching gesture. Through all these events and experiences, one thing that became clear was the universal grand design that we were a part of! My pilgrimage leading us to the doctor, Pavi’s reference to Doctor Mahesh who is now attending Awakins at Baner, my workshops with Samavedana over the last year who are now supporting us, Po connecting with Zillong through Laddership Circles who then helped us via his mom in China. The beauty of the universal consciousness, and connectedness, unraveled itself through this testing and uncertain times. All along, we have been enveloped in grace. We bow down in deep gratitude to every being, known and unknown, who has been our guardian angel. Love you all … love you all. Dearest Sheetal and Po -- touched and inspired by the deep love, humility and wisdom you are meeting life with. Thank you for being the blessing that you each are to this world and for sharing your journey. As we navigate our own path with Viral's health, I'm grateful for all the seen and unseen affinities that connect us across the distance. We are holding you in our hearts and Jhanvi too -- have not met her, but please give her a HUGE hug from us. She sounds like such a gem. Can't wait to see Po's smiling face on the other side of his hospital visit. Sending all our love. "There are no accidents" as Master Ooguay says in Kung Fu Panda! This last year alone has been a witness of grace and humility to the depths i've not imagined. It has been so inspiring grow through the wisdom from Viral Bhai, Pavi, the ecosystem and so much more. Po visited the Ahemdabad family right before his hibernation 2 days ago. To witness his inner strength, resilience, love and detachment to all that was happening and was to happen was much more than inspiring. I smiled all through those few hours, with deep gratitude to all that have emerged for us all and to witness the nature's dance of 'no accidents'. Thank you for showing us grace as you all walk this journey which is beyond imagination, beautiful and absolutely humbling. THANK YOU! 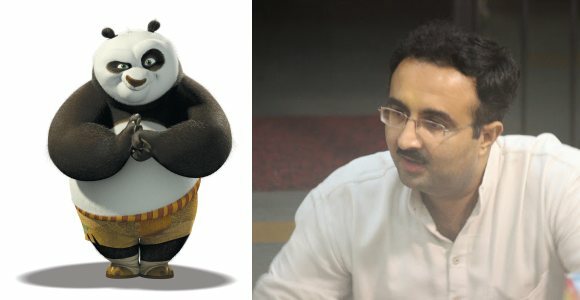 last weekend Anne-Marie and I watched Kung Pu Panda for the first time - we now finally understand Po! :) holding you both in heart daily. Thank you so much for taking the time to write and share this. As Meghna commented, it's so humbling to witness the depth and strength with which you and Po are taking everything in stride. So much love and gratitude to you both, you are in so many of our minds and hearts. Sending lots of positive healing energy your way ,dear Po! Holding you in my prayers !! Dearest Sheetal, Po: warmest hugs and lots of prayer come your way from us. Sending so much love and prayers to you and the family of noble friends, visible and invisible. Holding you all extra close in our hearts. So much love to you Sheetal and Po! I am so grateful to you both: your joy, your smiles, your hugs, love and so much more. Holding you in my heart and my prayers. Glad to get an update from Meghna today. Neerad --Wishing you a speedy and complete recovery! I am amazed that you never let on what a situation you were facing when we met in Ahmedabad or talked on the phone later. Lots of love and prayers to you and Sheetal. I got to know Neerad bhai through his pick-up/drop service for MBL retreat. He would share wonderful learnings in those few minutes along with smiles and hugs. I missed him in 2015 retreat and got to know he has been sick but learnt details today through this sharing. Sheetal ben , wish you remain empowered to live through these moments with courage and grace. Sending prayers and blessings to both of you. Thank you so much Sheetal . Universal consciousness at it's best . Am truly humbled . All the love from eSPañA! Such wonderful people you are. May Poo recover quickly and keep spreading the love for many years!